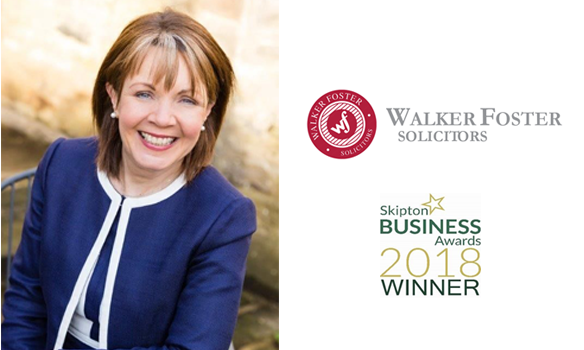 As I write this article, we’ve just won Professional Services of the year 2018, in the Skipton Business Awards. Naturally, we are incredibly proud of this achievement. There were some very impressive entries and the quality of high calibre businesses who both entered and were shortlisted was notable! We all like to think we are doing a good job and offering our clients and customers the very best. But when you win an award or when you are shortlisted as a finalist, you’re having this confirmed by those who voted for you or by a highly regarded judging panel. This seal of approval is a very strong indication that yes, you are doing a very good job! An industry award gives you the opportunity to shout out to your clients/customers, the business community, locally and beyond, the public and your hardworking and dedicated staff, that you are credible, trustworthy and quality with a capital Q. In such a competitive world, businesses are always looking for a point of difference in what they offer, something that makes them stand out from the crowd. Achieving your award really does give you that. It makes you unique amongst your competitors. We all do business in a hugely competitive world where our potential clients and customers face a difficult decision about who to buy from. There is undoubtedly so much choice out there and having an industry recognised award can help them decide who to do business with. It’s always important to remember those who help us achieve and when it comes to awards, most businesses couldn’t do it without the hard work and dedication of their employees. So, if you win an award, why not take the opportunity to thank them for their efforts. The words ‘thank you’ are a great motivator as everyone in an organisation likes to feel valued. In terms of attracting new employees, awards can be very useful as they send out a clear message to potential employees, that yours is a great business to work for. Who wouldn’t want to work for a highly regarded, successful business that is going places? To conclude, winning an industry award, or just being shortlisted for one, is undoubtedly a good piece of news. So, don’t keep it to yourself. Share it with as many people as you can. Include it in all your sales pitches and marketing activity. Get it out there on the social media platforms you post on and put it on your letterhead, e-mail footers and website. 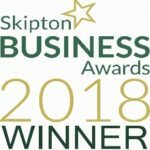 So, here is our newly bestowed award – Best Professional Services of 2018 in the Skipton Business Awards, which we will be displaying and shouting about with great pride!